High visibility clothing and reflective gear are diverse and have numerous applications across a variety of instances and careers. High visibility clothing makes workers easy to spot and is a necessary safety measure for those who operate moving vehicles and equipment. 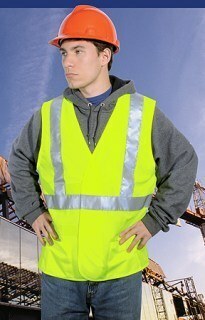 High visibility clothing and reflective gear serve two main purposes. They make the wearer more obviously visible to vehicular traffic and make them stand out against their background environment. Highly visible fabric (such as orange or yellow neons) and retro-reflective tape are commonly used. These are the uniforms of those who work in construction, road work, and other occupations. There are numerous classes and standards of high visibility garments. The best ones depend on your specific situation. Class 1 garments are suited to low-risk situations involving slow-moving vehicles and ample room between the workers and traffic, and an environment where the workers are easily seen. Parking lot attendants and warehouse workers utilize Class 1 garments. These garments are worn by workers who encounter medium hazard levels from vehicles that exceed 25 MPH, inclement weather, and attention being diverted from oncoming traffic. Railway workers, school crossing guards, and trash collectors are examples of those who wear Class 2 garments. Vests can be either class 2 or 3. This class involves high levels of hazard from fast-moving vehicles and working conditions which can reduce sight. Class 3 situations involve workers with high task loads which distract them from oncoming traffic. These garments ensure that workers are visible throughout a wide range of body motion and easy to pick out of their environment. These garments include retro-reflective material added to the arms and legs. Highway construction workers and emergency responders wear class 3 garments. Class E is the highest class of high visibility garments and combines class 2 or 3 vests with high visibility pants for increased visibility at night. Nighttime highway construction workers and first responders commonly use these garments.